We're less than a full week into 2018, and we've already got our first big news story. According to multiple reports, Mackenzie Dern will be making her Octagon debut at UFC 222 where she will face Ashley Yoder. At 24 years old, this 5-0 prospect is a well-known grappler who has experienced years of success on the competitive grappling scene. She is a multiple-time world champion for organizations like the IBJJF, while also capturing titles in FIVE Super League and the ADCC. She made the move to MMA in 2016 and has steadily improved in the face of new opposition in each outing. However, there are questions as to whether this jump to the biggest promotion in the sport is perhaps too soon. The biggest area of concern is Dern’s history with weight issues. In her five professional bouts, she failed to make the strawweight limit two times. She made the weight class for her Invicta FC debut in December, but it was after flirting with a move to the flyweight division. Fighters missing weight was a major story in 2017, as some state sanctioning bodies have begun pushing back on the massive weight cuts fighters take. If Dern falls back into the struggles of making weight, it will be interesting to see if that affects her performance in the Octagon, or even the weight class she fights in. Then there’s the question of Dern’s development as a fighter. 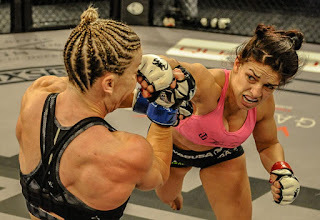 In each of her five fights she has shown improvement in integrating her grappling abilities into the full breadth of skills needed for mixed martial arts. Yet there are still questions about how that development will translate into success on the main stage. The UFC will have to take caution in booking Dern towards the success she hopes to have. With the recent introduction of the women’s flyweight division, there continues to be an opportunity for the promotion to add newer fighters to the roster who have experience relatively similar to that of Dern. However, at strawweight, a slow and steady approach to her matchmaking is best taken before she should be paired with more dangerous opponents. It’s clear that Dern has the kind of appeal that the UFC looks to promote towards stardom. Sage Northcutt, Michelle Waterson, Paige VanZant, Valentina Shevchenko, and others fit a “mold” that is easily marketed toward the MMA's young male demographic. But even though looks are a major part of the deal, winning performance is also important. As seen with VanZant’s recent struggles (and the defeats that precipitated Ronda Rousey's exit from the sport), losing in the Octagon doesn’t help build the popularity of fighters the organization is attempting to market, nor does it promote their longevity. 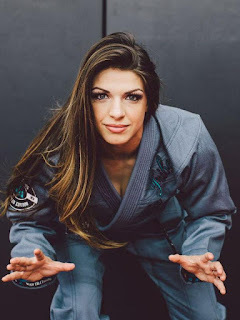 Mackenzie Dern is in a position to become a big name within the UFC. Her world-renowned abilities in Brazilian Jiu Jitsu have brought her to this point in the sport. Now, the UFC must use its marketing and matchmaking acumen to protect her development into the kind of main event attraction that the organization and fans alike hope she becomes.